GCET 2019 Exam Dates GCET is the standard exam state level entrance exam set by DTE(Directorate of Technical Education), Government of Goa once a year that is sure match the interest of students for admissions to the first year of professional degree courses in engineering, Ayurveda, homeopathy, pharmacy, nursing at colleges located in Goa. The admission will be offered by marks obtained in the entrance exam. Candidates will able to get admission in the state government/aided engineering colleges of Goa state. 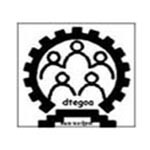 GCET 2020 application form will be announced by the Directorate of Technical Education, Government of Goa. Goa Common Entrance Test (GCET) will bring around the test to consider the potential students for admission. The DTE will use NEET score to admission in MBBS, and NATA score is advantageous for students pursuing B.Arch course. The GCET 2020 tentative dates are given in this section. Aspirants will need to download the application form and keep a hard copy for admission procedures. The application form must be filled with the details of meeting your identity. The completed application form must be submitted visiting the given locations. The application form will be started from the first week of April 2020. Students need to fill and present the application form prior last week of April 2020. The application form should be submitted at notified locations as per Centre opted, on specified dates along with prescribed fee. The GCET 2020 application form will be started from the first week of April 2020. Late forms will be accepted with an additional late fee of Rs. 1500/– till scheduled date. Application forms cannot be accepted after the last date specified for submission of late forms. It is to be noted that printout of the application form is used at the time of admission. The aspirants must pay Rs. 1800 after the completion of the application process. The fee is paid by Demand Draft. The application form is dispatched with the submission of Demand Draft accepted by Director of Technical Education” paid at Panaji drawn in any scheduled bank. Non-resident Indians holding Indian passport may apply for seats reserved under NRI category. OCI/PIO cardholders will be considered eligible for admissions to seats under NRI Category. For Degree courses in Medicine, Dentistry, Homoeopathy, Ayurveda, Allied Health Sciences and Nursing must have competed for the age of 17 years on or before 31st December of the academic year of admission. No age limit, minimum or maximum, is specified for admission to Engineering and Pharmacy courses. To be considered for admission, aspirants will need to get score card of GCET 2020 while admission. For Architecture, aspirants will require producing sufficient score in NATA. Aspirants will need to clear the Higher Secondary School Certificate Examination. 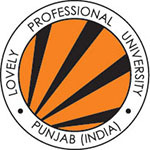 The minimum of marks specified is considered for admission. B.Sc Nursing: Should have passed HSSC with Physics, Chemistry, Biology, and English, and obtained a minimum 45% aggregate marks (40% for SC/ST/OBC category). 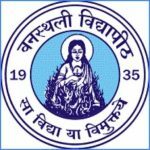 B.Pharma: Must pass the 10+2 examination of the Goa Board or its equivalent with English, Physics, and Chemistry as compulsory subjects with one of the following subjects Mathematics/Bio-Technology/Computer Science /Biology. Must secure minimum 45% marks (40% for SC, ST, and OBC only). Engineering: The candidates those have already passed/have appeared, or are appearing at HSSC or equivalent exam is eligible to apply. English, Mathematics, and Physics as compulsory subjects with additional subject among one of the Biotechnology/Computer Science/Biology/Chemistry. Must have secured 45% for general & 40% for reserved categories. Mode of Exam: The examination will be conducted through offline mode (pen paper-based). Duration of Exam: 120 minutes will be provided for the exam. Of Questions: 75 questions will be asked from each subject. GCET 2020 pattern will be as per the syllabus of Class 12. The exam will carry questions from three subjects – Physics, Chemistry, and Mathematics. Each subject will be comprised of 75 questions, and exam timing set by admission authority is 2 hours. For the correct answer, students will be provided with one mark and no marks will be removed for the wrong attempt. GCET 2020 syllabus will be designed by Goa Board of Secondary & Higher Secondary Education. The syllabus will be based on Standard XIIth examination with science stream. The subjects carrying GCET syllabus will be Physics, Chemistry, Mathematics, and Biology. Here, we have given some preparation tips for the candidates to appear and qualify the entrance exam. Make a proper study time table and follow it regularly. Follow the good study material and study the official syllabus only. Go through previous year question papers and practice various mock tests. Make short notes after you studied on a daily basis and did a revision of that. Prepare as per the exam pattern and syllabus of the entrance exam. Make your health good and eat healthy food. 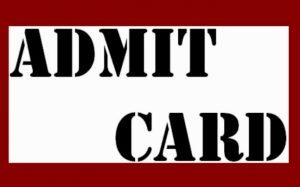 The admit card will be generated from the website. 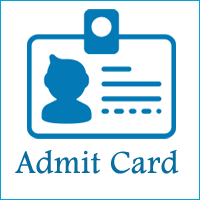 All registered students will be looking for admit card for entry in the examination. Students can access the admit card after presenting the application form A to the admission committee on a respective day. They will have to get GCET hall ticket 2019 downloaded by the end date of filling the application form. GCET result 2020 will become accessible from the website and put up on Notice Board at DTE. It will be brought around by the third week of May 2020. After any moderation in the schedule of the result, the newspapers will be the essential source to get students informed about. The students taking the exam will not be provided with any kind of scorecard singly. The exam officials will produce the answer key prior result. The students can look to answers mentioned in answer key by online. 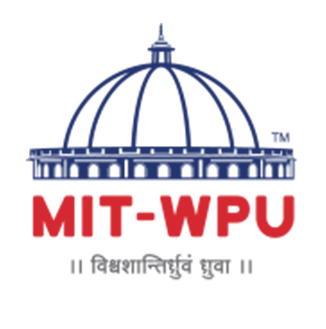 The distinct separate merit list will make as per course. Based on this merit list students will be selected for the counseling rounds. The authority will declare the result in the third week of May 2020 through online mode. There will be no provision for verification/revaluation of ORS. The official authority will also release the answer key in the third week of May 2020. Candidates can check the answer key and calculate the expected marks. The GCET 2020 Counselling will begin after the result is made known to aspirants. The officials concerned will be responsible for issuing the admission form for all those participating in the admission round. The aspirants may get themselves registered for the third week of May 2020. The counseling will take place by the offline process. After the occurrence of counseling rounds in succession, the authority will appear with the names of the selected students for admission list. They must report the allotted college carrying all original and reasonable documents and certificate and documents after the seat allotment. After submitting the admission form, candidates will be called for the counseling. Candidates have to verify their required original documents for availing the seat. The admission will be strictly offered by candidate’s marks obtained in the GCET exam. For final admission, candidates have to submit the admission fee to the admission committee. If you any query regarding GCET 2020, you can ask your query leave comments below.